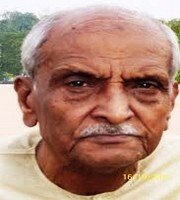 Dr Ramdeo Jha is a prolific writer, active campaigner and theatre activist of Maithili Literature. He is proficient in the genres like story, fiction, essay, poetry, play, translation, research and edited works besides his place among writers who command mastery as a critic. He has been Member General Council and Convenor of Maithili Advisory Board, Sahitya Akademi, New Delhi from 1998 to 2002. He is the recipient of Sahitya Akademi Main Award (Maithili, 1991) and Bal Sahitya Akademi Puraskar (Maithili, 2015).